Sponsorship opportunities are available on this website for Camino-related products and services. I developed this website to be a curated platform dedicated to sharing great things about the Camino de Santiago. 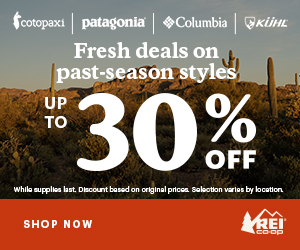 Its email subscriber base consists mainly of Camino enthusiasts and past and future pilgrims interested in reading about Camino-related experiences, gear, and Bay Area hiking and pilgrim events. Sponsorship offers a significant opportunity to reach an audience already embracing the spirit of the Camino. This blog started in 2015, and has proven to be a valuable resource among Camino enthusiasts. It continues to reach more people, and in 2018, there were 38,052 unique visitors from all around the world. Currently, I offer banner ad space on a monthly basis. Rest assured that your banner will look good on any device because this blog was built with responsive design in mind. If you have a Camino book, film, website, fitness-related or other Camino product or service, consider advertising on The Camino Provides to support the work I do. Think your product or service would hit the mark with this audience? Contact me with “Sponsorship on The Camino Provides” as the subject line, and I’ll send you the details. 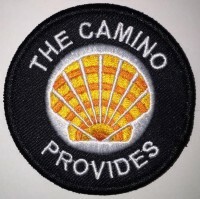 Another way to support this blog is by purchasing the Camino Provides official patch, available in the original design with no date, and the limited edition patch the current year. The rainbow shell design was inspired by the concept of chakras (7 energy centers in the body), which was an important part of my healing journey over the last few years. I have continued the rainbow design and chakras theme by highlighting the orange sacral chakra color for the 2019 date. Contact me for discounts on patch orders of 20 or more.